Sacred video / Jacqui Rutten. Contents note: Includes excerpts from Rutten's works: Christ, and The Kingdom of Heaven. DVD completed in 2008. Created for World of Women's Cinema 2008. The DVD is about challenging technical expectations, prioritising human presence as singing and music as nature -- Composer's note. Score: Christ : a sacred chamber opera / libretto from the four Gospels ; music by Jacqui Rutten. 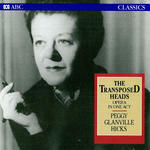 CD: The transposed heads : opera in one act / Peggy Glanville-Hicks. CD: The oresteia : memory theatre (opera) in 7 parts based on Aeschylus drama / Liza Lim. 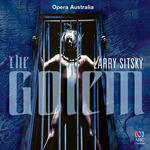 CD: The golem / Larry Sitsky ; Opera Australia.